Let’s face it. Schools need leads (prospects). It’s no longer a case of simply opening your doors to fill classrooms with paying students. You need to be actively marketing for enrolments and anything you can do to help build your prospect list is a good thing. I can’t tell you how many times I see school websites that have a 15 question form asking people to fill out their life details on the first step. It’s too intrusive, especially for people that are just looking around and don’t know much about your school yet. There is definitely a place for that form, and it’s usually information that a school needs to know when someone is submitting an enrolment application, but there is a better way to go about it. This better way utilises a bit of psychology to get more people completing your online application process while building trust with your prospects. It’s very subtle, but very effective. It uses what’s called “micro commitments”. It’s not a new thing or a new term. We use it all the time, but rarely when it comes to online marketing. Think back to when you were dating. You didn’t ask that special someone to marry you the first time you laid eyes on them. That would be creepy, right? To build any relationship you start off with small commitments and build up a series of “Yes’s”. You may have heard that technique used by sales people. It’s no different when it comes to online marketing. You will get a much higher conversion rate if you can convince a potential prospect to make a small commitment before filling out your 15 question form. 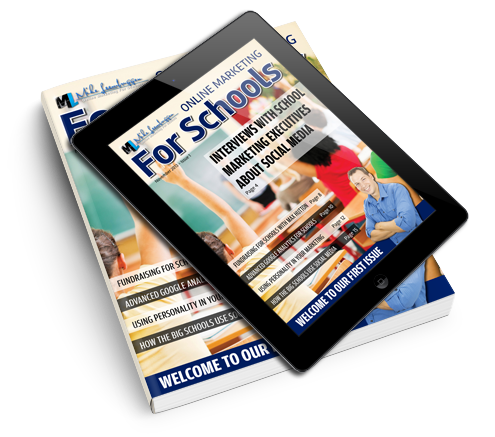 The way we have seen great success for schools, is to simply ask for a visitors name and email address in return for a copy of the fee schedule or an informative guide on something relevant they would be interested in. Once that first micro commitment has been made, typically 40% – 50% of those people will fill out your 15 question form on the second page. It’s important to pre-fill that second page with information from the first form so users don’t have to type that in again. It’s a simple fact of life that not everyone is going to say “Yes” all the time. Does that mean they will never say “Yes”. Of course not. The secondary benefit to this process is that you now have the opportunity to build trust with those who didn’t fill out the second form as you have their name and email address. You can get this whole system already setup and ready-to-go in the “Enrolment Booster Execution Plan“. It comes with landing pages, web forms, and email autoresponders already built in.